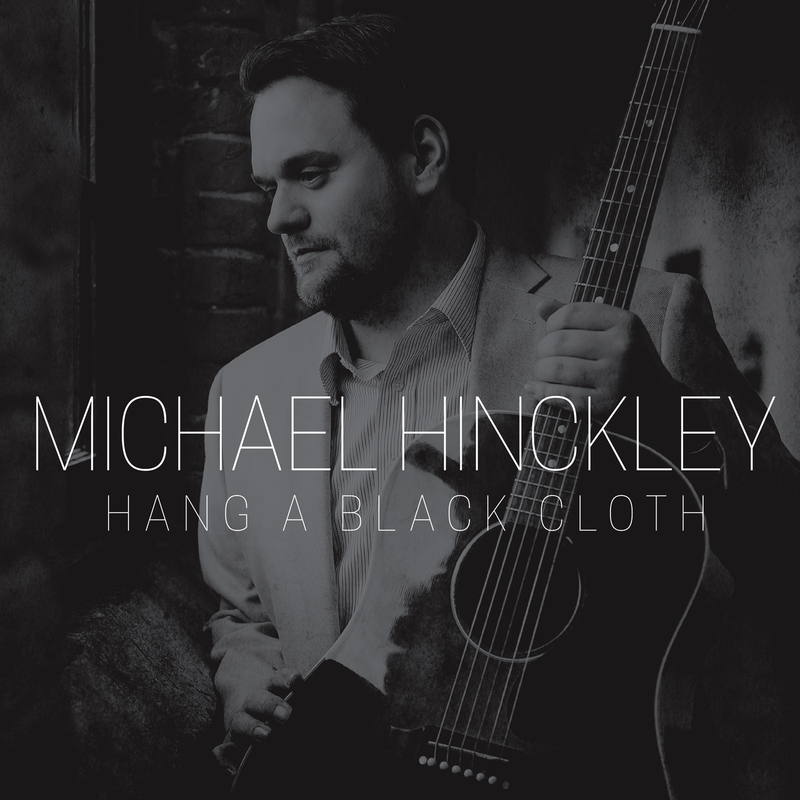 Since it’s release in January, Hang a Black Cloth has been played on NPR and BBC affiliate stations and many others across the US and the UK. Big thanks to WRRW, Williamsburg, for keeping it in regular rotation for 23 weeks! The album charted on the Americana Music Association radio charts, and I performed at the Americana Music Association Festival in Nashville in September. I also hit the road and played shows everywhere from Nashville to Nebraska and beyond. Thank you to everyone that came out! 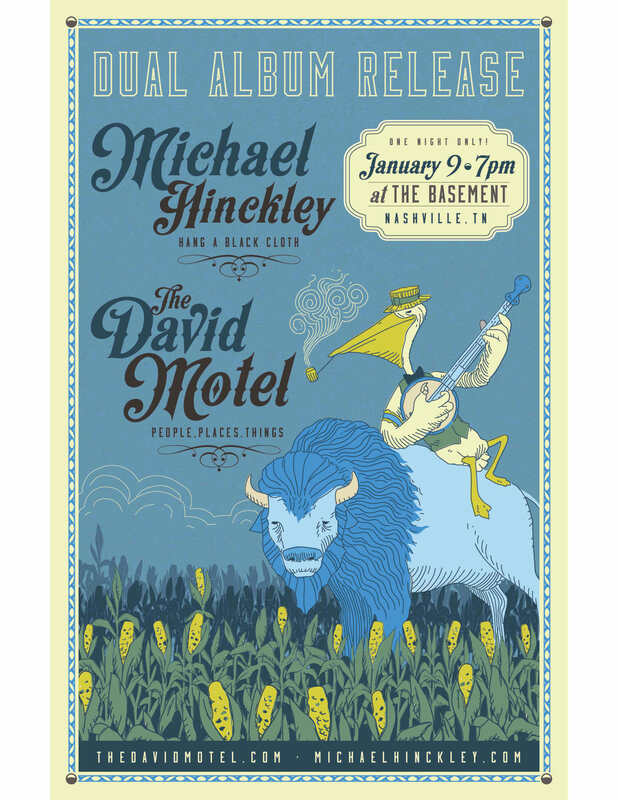 If you are in Nashville on Jan 10, I’ll be performing at the world famous Blue Bird Cafe. Come on out, and stay tuned for new music and shows in 2016! I’m thrilled to announce that KEMC Global will promote a single from Hang a Black Cloth in the UK and Ireland starting this March. Celtic music has a major influence on my record, from the DADGAD guitar tuning I use on “My Brothers” to the highland fiddle-inspired “Nesta.” KEMC brings the right relationships and experience to bring my music overseas. KEMC is an international marketing, PR and radio promotions company with staff based in Nashville, Galway, Ireland and London, UK. The company specializes in services that help independent artists build their careers in a global market. KEMC represent award-winning and multi-platinum selling songwriters…and now me! 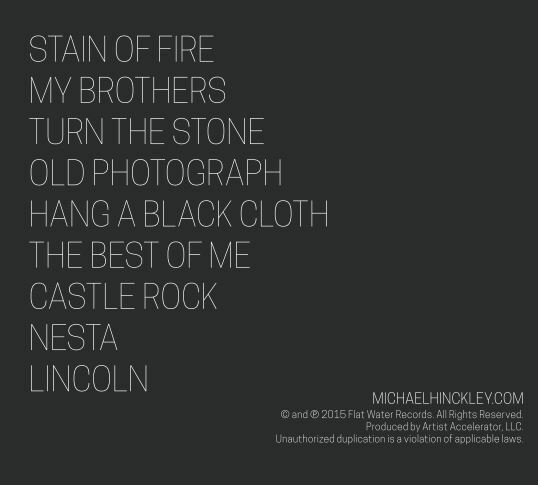 On January 9th I’ll release my first solo album, HANG A BLACK CLOTH. Nine songs of poetry, secrets, hope and tragedy. From now until the album comes out I’ll be revealing parts of it here. This show poster was a collaboration between Jeremy Johnson and Running Dog Art. 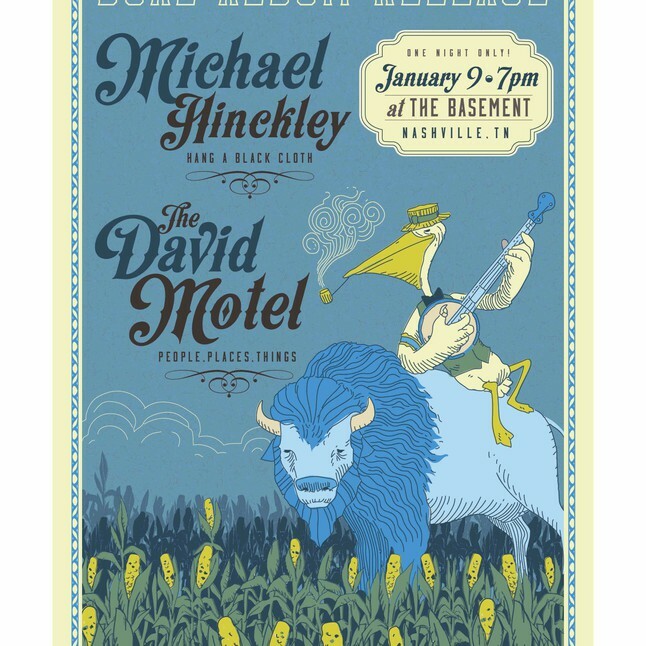 Dave (of The David Motel) is from Louisiana, I’m from Nebraska, and we both now live in Nashville. We joked that we should have a pelican (LA) playing a banjo (TN) riding a bison (NE) to represent the three regions. The idea was just crazy enough to work, and we’ll have a limited # of these for sale on Jan 9 at the CD Release show). 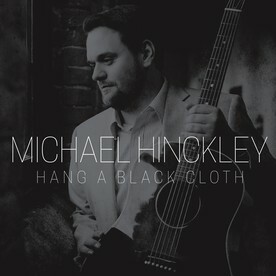 On January 9th I’ll release my first solo album, HANG A BLACK CLOTH. Nine songs of poetry, secrets, hope and tragedy. From now until the album comes out I’ll be revealing parts of it here. First, the album art and track list. Artist, Jeremy Johnson came up with this simple, bold design. Rebecca Jaggi took the portrait. I grew up listening to what I call “My parent’s folk music” though I have to admit that after 30 years it is probably safe to call it MY or OUR music. This week I came across a relic from that musical movement and left feeling very inspired. I recently made the pilgrimage to the Rock and Roll Hall of Fame in Cleveland, Ohio. I moved through the hall’s reliquaries, starting at the top floors and working my way down to the basement. I saw it posted in a glass case along the wall. I thought of the spirituals, hymns, and protest songs Pete brought to the masses from the 1940s to today. This head hailed in the civil rights era when Pete sang “We Shall Overcome” and penned “Tun! Turn! Turn!” The other artifacts in the rock hall seemed dusty and hollow compared to the significance of this piece. Pete doesn’t have an official site, or I would link to it.  Please check out his history and music. You will be blown away at his consistent dedication to his causes and to the power of music. What inspires you? What would look forward to seeing in the Rock Hall? I sat down with The Mormon Channel to talk about my music and my faith. In this in-depth interview I talk about his influences and play live acoustic versions of a few songs. The Mormon Channel is the official podcast of the Church of Jesus Christ of Latter-day Saints.